Do you know what it’s like to have prospects come to you for your services instead of vice-versa? There is a profound difference between beating on prospects’ doors, trying to convince them of how good you are, and prospects coming to you, saying they’ve heard of your value and are curious as to how they can work with you. Brian Dean, SEO genius and founder of Backlinko, released an amazing guide on how to rank at the top of Google for 2018. What’s working now is going to work in 2018. That said, there are some very important things to consider for your consulting website regarding SEO. This post takes some of the key points from Brian’s article and breaks it down for consultants and small firms interested in ranking more of their content at the top of Google. If you’re a consultant who’s brand new to SEO, but is interested in using it to increase the visibility of your business (and get more leads), then you may be asking — why SEO? First, your articles are the most important aspect of your website’s ability to attract prospects. Take a look at this excerpt from Hinge’s article on 5 Website Best Practices that Produce More Leads and Faster Growth. SEO leads convert nearly 10x higher than outbound leads. With good SEO, not only will you attract more leads, but you’ll convert them much easier as well. If you’ve ever wanted the feeling of waking up, checking your email, and finding new leads who are ready to talk to you every day, then you need to adopt SEO into your marketing strategy. That’s how you boost your articles to the first page, so when your prospects type their query into Google, they land on your website. Turns out he’s a lot like John Harder — no need for consultants but always looking for good advice. He said he did a quick Internet search for ‘ag equipment product design’ and we were in the top few results. And then when he drilled down into the content on our site and saw your article on the seed testing equipment and Sheldon’s moisture/nutrient case study, he said it was obvious that our expertise would be quite valuable to the project,” said Lou. Your prospects are using Google for advice. Make sure it’s your advice they find (and not your competitors) by using the strategies and methods outline in this article. Here are some of the most important aspects of Google’s SEO algorithm this coming year. RankBrain is Google’s third most important ranking factor. Your consulting website will rank higher the more people click through to your article, and the longer they stay on it. Your thought-leadership, when it ranks high, has to compete with all types of ads and other boxes that crowd your prospects search page. The copy you use in your article headlines, as well as the meta description, should not only be SEO-friendly but draw your reader’s attention as well. Good copy means more clicks. Google’s algorithms are much smarter now. They rank content based on what they determine to be the best result — which, in most cases, is in-depth content. In-depth content is AT LEAST 2000 words. To publish two of those a month, that means you’re writing 200 words, 5 days a week. For a framework for writing in-depth thought-leadership for your consulting website, refer to my article on DIY Content Marketing For Consultants, and my thought-leadership article framework. You’ll also want to include “LSI” keywords — words in your article that are related to the topic. You can easily find LSI keywords by searching in Google for related keywords and scrolling to the related searches section. If you want more leads, write every day on in-depth topics — and publish (share what you know)! Prioritize quality over quantity for your content. Two 2000 word posts a month consistently is better than releasing short, 500 words posts twice a week. Google is going to start to consider the mobile version of your consulting website as the main version. 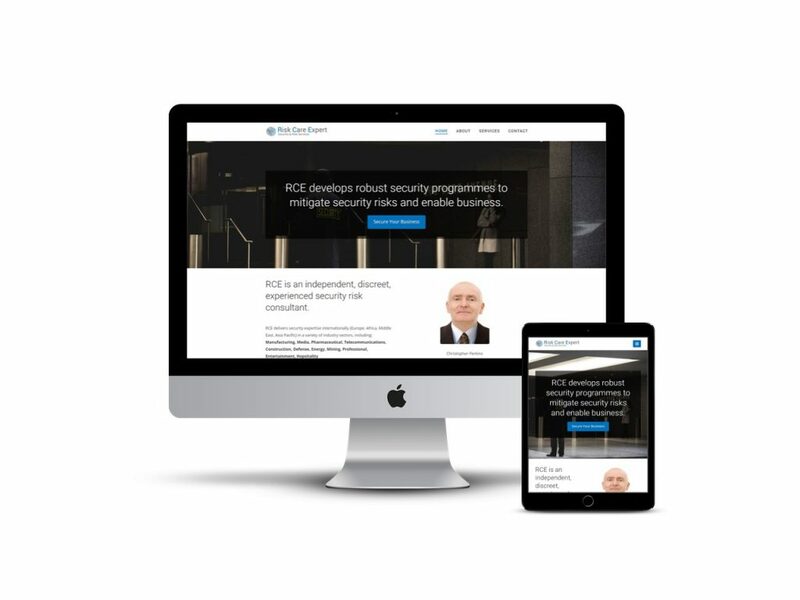 If your consulting website doesn’t work flawlessly on mobile, and doesn’t create a great user-experience for your prospects on their phone, then you’ll drop in search engine rankings. You can test to see if your website is mobile friendly using Google’s test. In addition, ask one of your clients to browse through your website on their smartphone, and ask them where you have room for improvement. For your blog posts, consider using AMP. AMP saves a version of your page on Google’s database with the aims of helping your users load it quickly through their mobile device. You’ve got time to prepare for “mobilizing” your consulting website — this change isn’t live (yet). Video is already making up a lot of internet traffic, and people want to see more video. As a consultant, video is especially important, because it allows your prospects to see you and here you — critical elements of how you can build trust with them through their screen. Start with Loom and record an online presentation with the help of Google Slides, and release a 5-10 minute educational presentation on LinkedIn every week. Embed your video’s into your blog posts, and you’ll increase time on page, leading to more SEO juice to the page. Re-purpose your content through to YouTube as well. There’s never been a better time to start your YouTube channel. 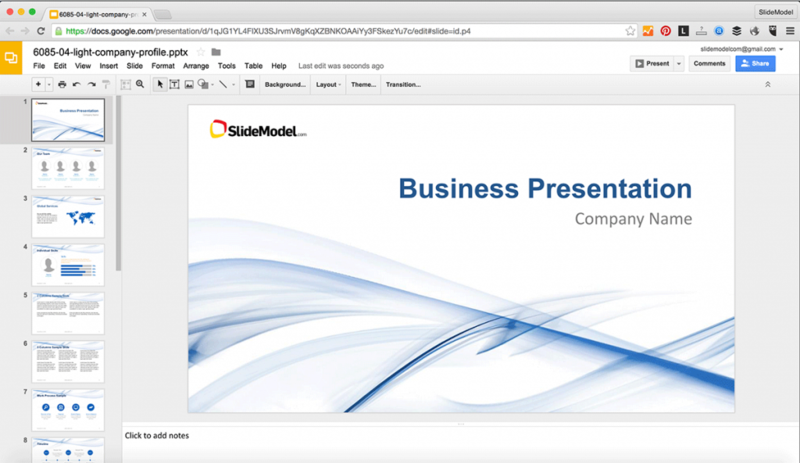 You can upload your presentations, podcasts, and speaking engagements. Voice search is still early, but it’s on the rise. If you can optimize your content for voice search, you can capitalize on your prospects that use it. More and more adults are starting to use voice search. If you have some content on the first page, then it’s worth adding some Q&A format to it. Create content that answers questions. If you have some content on the first page, then optimize it for voice search. The questions your prospects are asking you are great ideas for voice-search friendly content. The amount of relevant links that point back to your website and blog posts are still the most important ranking factor. A comprehensive “Resources” page for your consulting website is one of the easiest pages to get people to link too. How do you get more links to your content? Creating great content is not enough. You need to build relationships with people who will actually link to your content — industry peers and publications whose audience would gain value from what you have to share. Don’t ask for links with a cold pitch. Build and nurture a relationship. Offer value up front. Then, where it makes sense, see if they’re willing to link to an article of yours. Encourage discussion. Comments matter “a lot” for search rankings. 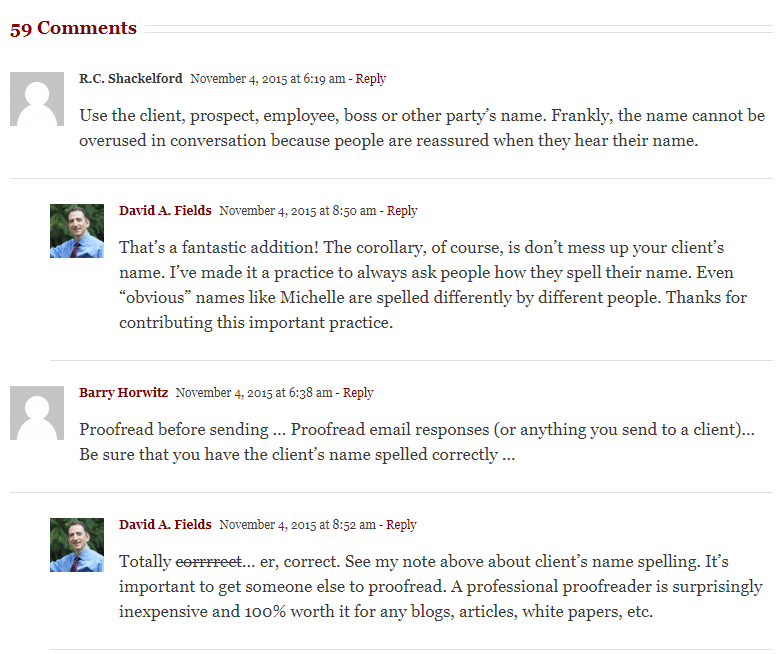 Look at the comment section for one of David Field’s articles. Aim to acheive something like this for your posts. Podcast. Speaking on a podcast is the digital equivalent of Speaking, one of the 5 marketing musts for consultants. It’s great for SEO because podcasts are also published as posts, and at the end of each podcast/post, most hosts will put a link back to your website. This is a relevant link, and the people who click back through to your website from this link are people interested in what you have to say. Publish data. Got any data from your projects that you’re allowed to share? This is a great way to get more links — people (especially people who write) love their data. Are you ready to bring more qualified prospects to your consulting website using inbound marketing? If you’re serious about creating thought-leadership that brings prospects to you (and not vice-versa), then SEO is how you get there. The best way to get started? Do a quick Google search on what you’re interested in writing about. Scroll down to see what your prospects are actually searching for. Look to rank a single article of yours on the first page. Just one. RankBrain, mobile-first, and CTR won’t mean as much if you aren’t ranking at all. Though buyers don’t troll the Net to find consultants, everyone uses the net to acquire information from experts. As the expert who’s sharing information, SEO ensures that your content is actually found. 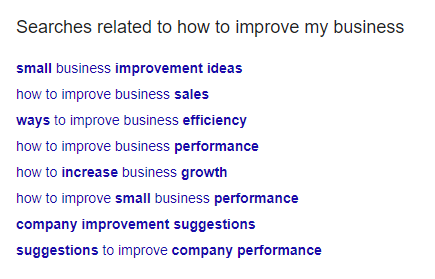 Have you found SEO to be useful for your consulting business? What have you struggled with in terms of your SEO?